Ambassador Masaharu “Masa” Kohno will make his first public appearance in Southern California since completing his posting as Consul General of Japan in Los Angeles in 2003. He will discuss his current work in Tokyo, as well as US-Japan cooperation in international affairs. Ambassador Kohno graduated from the Tokyo University Faculty of Law in 1973, and entered the Ministry of Foreign Affairs (MOFA) that year. He has held various important posts with MOFA since then, including Consul-General of Japan in Los Angeles (2001); Director-General for Sub-Saharan African Affairs (2003); Deputy Vice Minister for Foreign Policy (2005); Deputy Minister (G8 Sherpa) (2007); Ambassador to Russia (2009); and Ambassador to Italy (2011). He assumed his current post in 2014. Kohno is also an Executive Board Member of the Organizing Committee of the Tokyo 2020 Olympic and Paralympic Games, and Chairman of the John Manjiro Whitfield Commemorative Center for International Exchange. 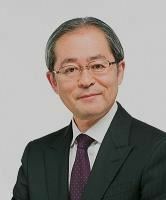 He also serves as Outside Director of the Sumitomo Mitsui Financial Group, Inc., and Senior Advisor to the TOMODACHI Initiative.